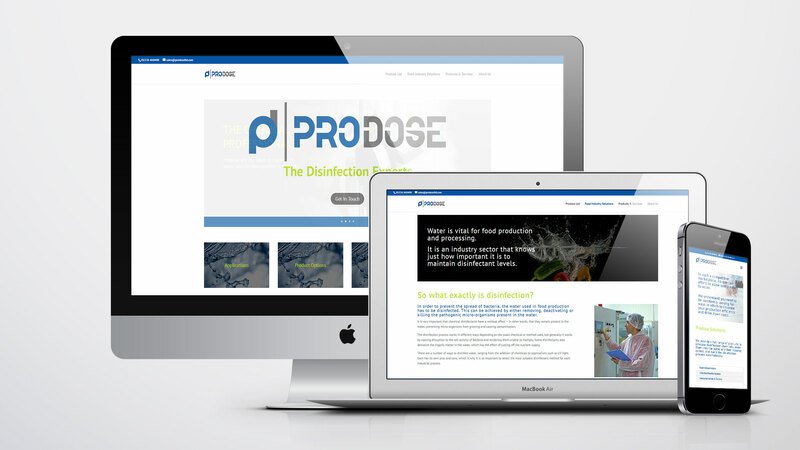 Prodose are the disinfection experts, covering everything to do with systems that chemically treat water for drinking or processes such as washing food produce. They combine chemistry knowledge with practical expertise and help with designing, installing or modifying water disinfection and distribution systems. 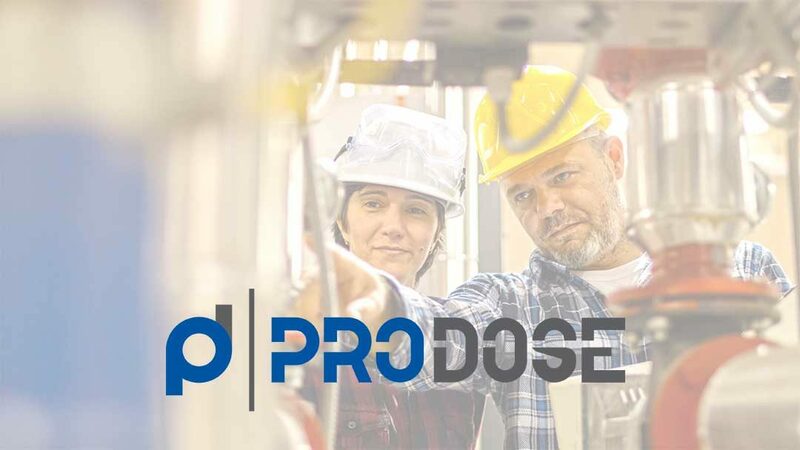 For this project, Prodose wanted to reach new clients in food processing, a sector in which the business already had a strong level of knowledge and experience. CC worked on the strategy and implementation from start to finish. This included strategic planning, where we researched and put together an overview of existing markets, target markets and competition. We also undertook sector analysis, looking at industry trends and other developments that could help steer Prodose’s future direction. All of this enabled the business to undertake a very targeted campaign and prioritise the prospects that were best suited to be potential clients. 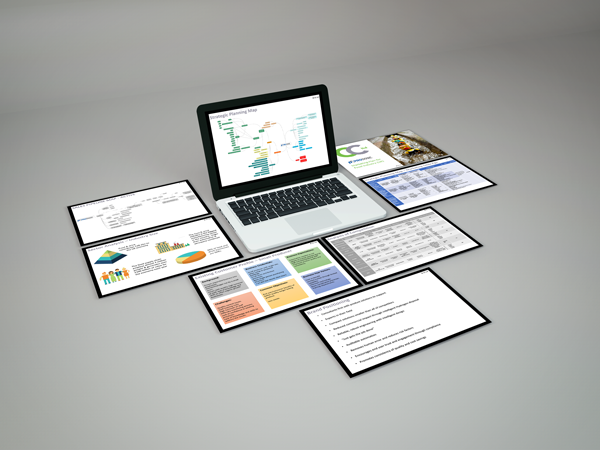 A key part of the project was reviewing current marketing materials and making sure Prodose has collateral aimed at their prospects. 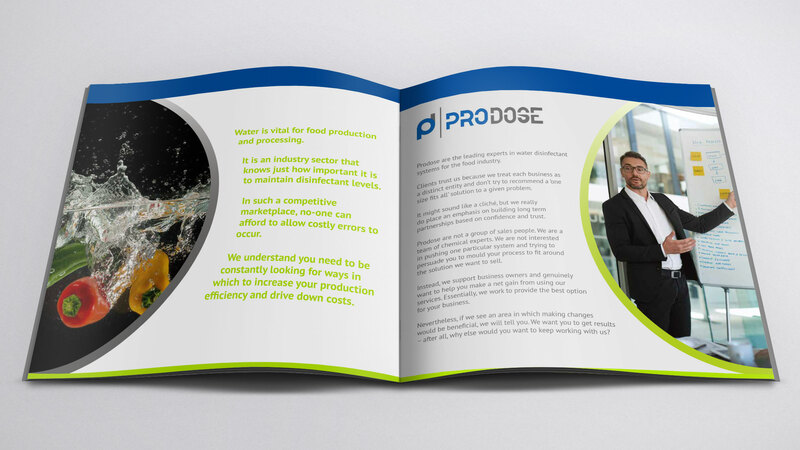 To this end we created a new brochure specifically for key decision makers in the food and produce sector. In recent months Prodose have secured a number of substantial contracts and have requested that we repeat the process in a new market segment. 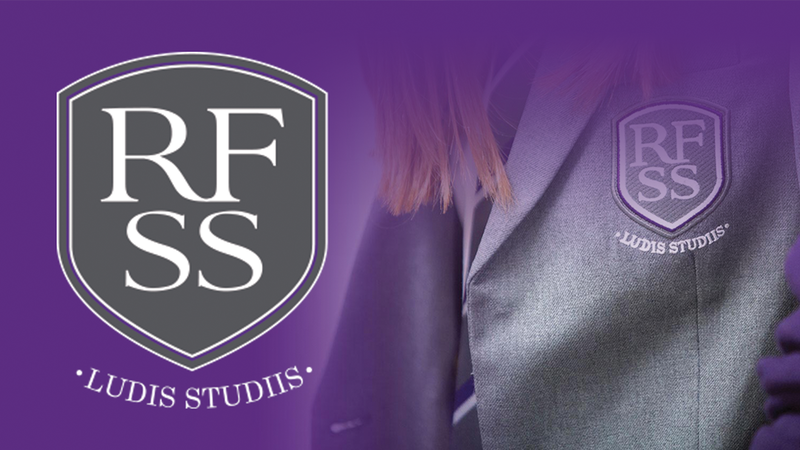 Rugby High is a long-established girls’ grammar school with an excellent academic record. The management team wanted to attract Year 12 students from other secondary schools to their high achieving Sixth Form and had decided to run a poster campaign at transport hubs in order to reach students in nearby Coventry and Northampton as well as Rugby itself. The idea was to run this in conjunction with a paid Facebook campaign. The school needed a concept for the campaign. We decided to look at it from the students’ viewpoint: what did they aspire to be in their future careers? 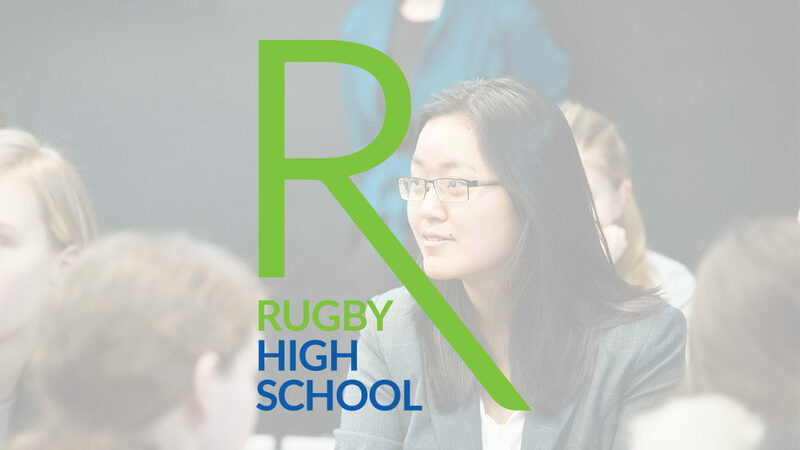 Rugby High is an excellent place of study for those who know what they want to achieve, so we decided to present some popular career choices with the tagline, “Rugby High can get you there”. Using the school’s existing photography, we created a series of six large scale posters, all designed to be displayed on Decaux video poster boards in railway stations. In this case we utilised the school’s existing logo and identity. Each poster was designed for its specific venue and included the relevant journey time to Rugby. The school were delighted with the results and the posters were displayed over a number of weeks in the summer of 2017. Rugby Free Secondary School came to us during their very first term. At this point, there was just one year of students based in a temporary location. We were hugely impressed by the close-knit, supportive community headteacher Christine and her team had created and the enthusiasm and willingness to learn exhibited by the students. Our task was to bring this across in the marketing and help the school establish itself alongside other schools that were already well-respected in the town. The school already had a logo and colour scheme. What they lacked was a fully functional website and some promotional literature. The requirement for the website was for it to have a modern look and work as both a marketing tool to promote the school and as a resource for students and their families. It was important that the school team be able to update the site with information themselves as and when required. They school also needed a promotional brochure that could be given away at open evenings and other events, that would capture the ethos of the school and help build its brand image. We wanted the material to work for both potential students and their parents or guardians. For this reason we knew we had to talk to the youngsters to get their angle and make sure we were talking about the things that were important to them. As well as meeting the head and members of the staff, we also arranged to chat to small groups of students and got them to talk freely about their hopes and fears before they started school, why they had chosen it and what life at the school was like. As you can imagine, we came away with a lot of material, much of which we would never have thought of ourselves. It was most important that we captured stunning images portraying activities from throughout the school day. Our photographer John Fox came in and worked really well with the kids, getting some amazing images. The head and her team were thrilled with the new brochure and website. Finally, they have an online and print identity that blends perfectly with their colour scheme, logo and school uniform. We were told that we had captured the spirit of the school and done a really good job of communicating what made it special to prospective students and families. Desire is a business that provides permanent hair removal using state-of-the-art laser technology. Our involvement with the business began at the pre-lauch phase, at which point the business brand name had not been finalised. We we helped brainstorm some ideas and the founders settled on Desire. The next step was to create a visual identity and colour palette, based around the choice of purple. We submitted half a dozen basic design ideas for the style and shape of the logo, and then worked to refine the chosen design. The website is a very simple design that nonetheless contains all the information that potential new clients need. We wanted to be sure it is both persuasive and reassuring, and answers all questions prospects are likely to ask. We also made sure that Ann, the face of the business, comes across as an approachable person, telling her story and helping build the relationship with potential clients before she has even met them. We are still working with the business to develop the marketing strategy. One of our joint ideas was to do a Groupon voucher promotion, which has brought in a large number of new clients.